Conversations about the challenges we face, as women, on the path of recovery. The women in these interviews share their life experience, tips and tools, and resources to inspire and support women who are healing from trauma or painful experiences. We share our stories as medicine, to make the controversial uncontroversial addressing topics such as addiction, depression, anxiety, sexuality, relationships and much more. 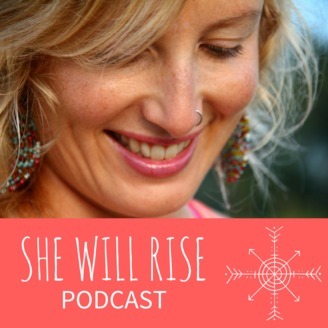 www.shewillrise.community. Her struggle with stress in her life from a young child turned into chronic debilitating asthma. She thought she would never be able to do all the things she now enjoys in her life. Her own life story is her inspiration for how she helps and supports others. We met 7 years ago in a yoga class and have become great friends and colleagues. Dr. Kendall helps individuals connect to their wild (feminine) selves through Rewild Health Maps, Nutrition Consultations and Naturopathic Lab Reviews - regain your energy, boundaries and strength through foundational health. 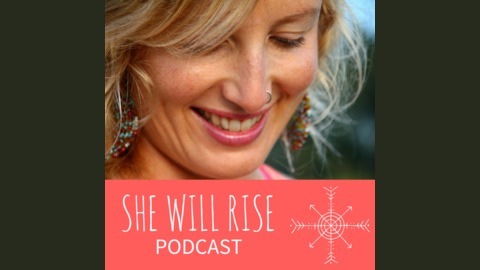 IG: @kendallhassemer FB: @drkendallhassemer.yogaNDhealth Up coming retreat Rewild in Mexico Your code for a discount for being our listeners SHEWILLRISE. Mention that in your email or call to her.